Aviation Updates Philippines - The Philippines' leading airline, Cebu Pacific (PSE: CEB), expands its inter-regional route network with the addition of two new routes that will connect the Visayas to Northern Mindanao. Starting today, March 15, 2017, CEB will be flying four times weekly (Monday, Wednesday, Friday and Sunday) between Cagayan de Oro and Tagbilaran; and three times a week (Tuesday, Thursday and Saturday) between the former and Bacolod. Both new routes to and from Cagayan de Oro will use the airline's ATR aircraft. "We at CEB are very thrilled to begin flying to and from these destinations. We believe that these new routes will not only boost tourism, but also increase trade and productivity between the Visayas and Mindanao. Movement of goods between these islands will also be facilitated as CEB cargo services are also available in these new routes. 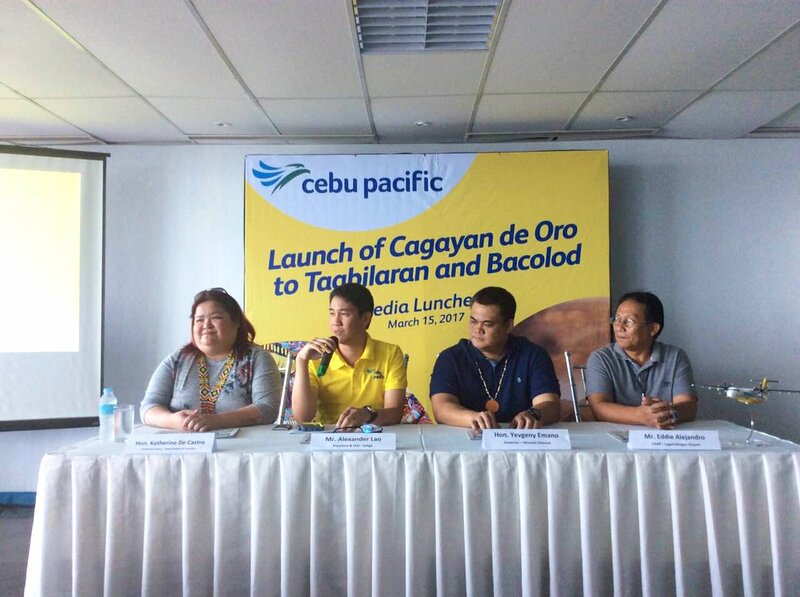 CEB is likewise optimistic that our newest routes will encourage a number of tourists and businessmen from Tagbilaran and Bacolod to visit Mindanao more often with direct flights," said Alexander Lao, President and CEO of Cebgo. 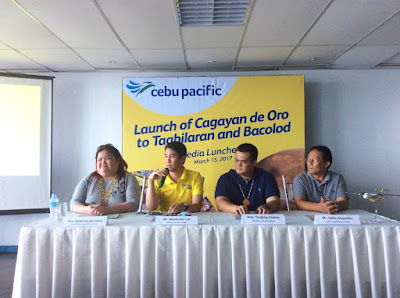 True to the Cebu Pacific commitment of making everyJuan fly, the new routes to and from Cagayan de Oro provide travellers with the best connectivity option from Bacolod and Tagbilaran to Northern Mindanao through direct flights, eliminating the need to pass through Manila or Cebu . CEB offers its lowest all-in one way year-round fare from Cagayan de Oro to Tagbilaran at Php1,235 and from Cagayan de Oro to Bacolod at Php1,806. CEB currently operates flights out of six strategically placed hubs in the country: Manila, Cebu, Davao, Clark, Kalibo, and Iloilo. CEB enhances inter-island connectivity within the country and across the globe with its 66 destinations with over 100 routes, spanning Asia, Australia, the Middle East, and USA. The airline's 59-strong fleet is comprised of four Airbus A319, 36 Airbus A320, seven Airbus A330, eight ATR 72-500 aircraft and four ATR 72-600.